This week’s short post will doubtless be pretty obvious and hackneyed and such. Given the week it’s been, it would be churlish of me to try to write in any other way. The week has put my head in this particular place and so it here that I must try to write. Somebody died this week, a friend. It’s not for me to eulogise. That has been done well-enough in other places. Neither is it for me to name the lovely friend who left us.That is for elsewhere; in my head and in my heart. What is for me, here, is just to try to consider the thoughts that run through my head when sorrow and loss raise up and cause me to reflect, once again, on the nature of a life. One thought in particular has recurred to my this week. The thought of a ‘Life Cut Short’. I have perhaps entertained the thought, in my head, that there is a set timespan which can be held up as a gauge to any life to see if it passes that test of having been ‘Full’ or ‘Cut Short’. Having thought about it for a while now, I find that I no longer wish to subscribe to this point of view. We have no control over the time span we have to live. 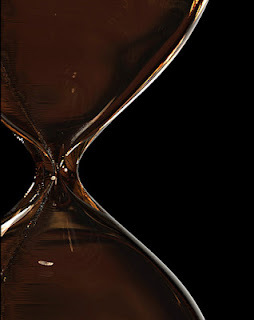 I don’t want to say the time span that we are ‘given’ because I don’t believe we are 'given' it by anyone or anything. It simply is what it is. It therefore follows that every life cannot be assessed against the criteria of any particular set life span, where exceeding it is a success and falling short of it some kind of life-failure. I now think that life should not to be valued by how long it is loved but rather by how well it is lived. Perhaps this, then, is the elusive 'Meaning of Life', or at least one theorem of it – that life is all about the fulfilment of a person's potential, no more no less. We are, after all, physical beings, bound by physical laws. Even the mysterious chemical brew of our minds are governed by these laws. Our potential is therefore, inevitably, limited. To live life as well as possible is to travel as far within our own personal potential as we can. We can, ultimately, do no more. To a six hour old baby who dies, this may mean mean no more and no less than simply drawing breath or passing a little fluid or touching and ultimately breaking the hearts of all those who are near. The six hour life, when completed, can be as beautiful and fulfilled as a one hundred year long life which was replete with creativity and joy. Simply because it rose as far within its potential as it could humanly go. And, if this is true – if it could only be true - what is there to learn from it? That, too, is pretty easy. We are, none of us, living close to our potential. Whatever it is that we aspire to be, we are simply not enough of it. We are not 'loving' enough, 'expressive' enough, 'risking' enough, 'angry' enough, 'alive' enough. We owe it to ourselves to push the boundaries of who we are, not so that we can live to the year ninety or one hundred but to attain our best within the limits of our potential. Regardless of whether you die at 44 or 67 or 2 it’s always going to be a tragedy for those left behind. Those who must miss you and grieve for you and somehow travel on without you. It’s a real unavoidable tragedy for them. It's like I said at the beginning, there are no original thoughts in this week’s post but I guess it’s good that I am at least thinking these old-old thoughts out for myself.